KOKOMO, Ind – When MKE Sports and Entertainment revealed the name of its Prospect League baseball team, the Kokomo Jackrabbits, much was said about the history of the name and its association to the Apperson Brothers and the city’s automotive industry. But for its Premier Development League soccer team, the organization took a modern approach. With more than 300 contest entries submitted, MKE Sports announced that Municipal Stadium will be the home of the Kokomo Mantis FC. Yes, the team is named after the 17-foot-tall bug located at the corner of Sycamore and Washington streets. Christopher Cox was announced as the winner of the naming contest – and with it the $1,000 prize, tickets and merchandize. The mayor said he expects the new franchise, which debuts in May, will have a “loyal following.” He noted that when the stadium was built, it was designed as a multi-use facility and a soccer footprint was placed into the baseball design. 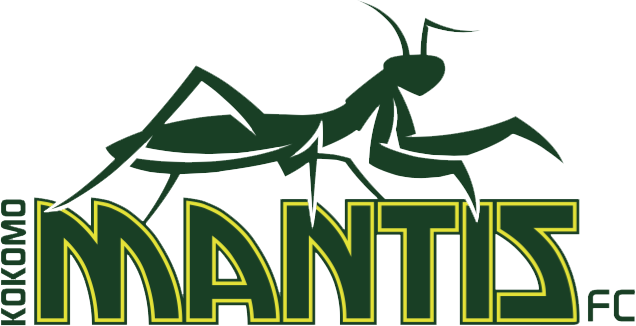 MKE Sports also introduced the first field manager for the Mantis, Marcelo Santos. The Brazil native is currently an assistant coach at Marquette University. Since 2009, he has helped lead the team to a pair of Big East Conference titles, has coached 10 players who went on to the professional ranks and previously coached the PDL Thunder Bay Chill to a national title. The top developmental men’s league in North America, the PDL features 73 teams within four conferences across the United States and Canada. The PDL season consists of 16 regular season matches for each team, eight home and eight away, and provides elite collegiate players the opportunity to taste a higher level of competition while maintaining their eligibility. In addition to league play, PDL teams compete in the Lamar Hunt U.S. Open Cup as well as various exhibitions. The PDL has proven to be an important stepping-stone for top professionals now playing throughout the world. Both the Kokomo Jackrabbits and Kokomo Mantis FC use college-age players, and now is the time to sign-up to be a host family for one of the athletes. Not only do host families get the experience of positively impacting a players life, they get free tickets to games, discounts for merchandise and other perks. For more information, contact Crystal Sanburn at crystals@kokomojackrabbits.com. From talking to last year’s host parents, it is worthy venture. The big green bug at the corner of Sycamore and Washington streets has finally reached pop culture phenomenon status in the City of Firsts. Much has been said about Kokomantis and its prominent position as the unofficial welcoming party to downtown Kokomo. Like it or hate it, the 17-foot-tall praying mantis is here to stay – and its fame is about to go national. A quick Google search finds the Kokomantis – a 2012 creation of local developer Scott Pitcher – has been featured on various blogs and travel guides. But now, Kokomantis’ fame will explode thanks to the Premier Development League expansion soccer team being dubbed Kokomo Mantis FC by ownership group MKE Sports & Entertainment. Yes, Kokomantis has its own sports franchise. As Kokomo Mayor Greg Goodnight said, the new franchise name – suggested by resident Christopher Cox in a naming contest – is “quirky.” But is that a bad thing? In my opinion – NO! With all of the duplicated team names in existence in America, the Kokomo Mantis may be a one of a kind with a character that is marketable. 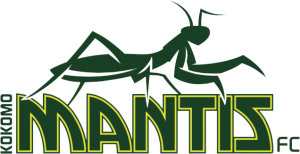 MKE Sports has already shown the City of Firsts that it is a first-rate sports promoter, and adding a mantis logo has unlimited possibilities. Sure, the Kokomantis has enjoyed a relatively short existence in Kokomo, but I have seen wedding and class pictures along with tourists looking at the Kokomo landmark on many occasions – and when the weather is nice, I bet not many days go by that someone is not snapping a picture of the sculpture. So, who is ready to buy a Kokomo Mantis FC t-shirt? I know I am. This entry was posted in Kokomo Mantis FC. Bookmark the permalink.